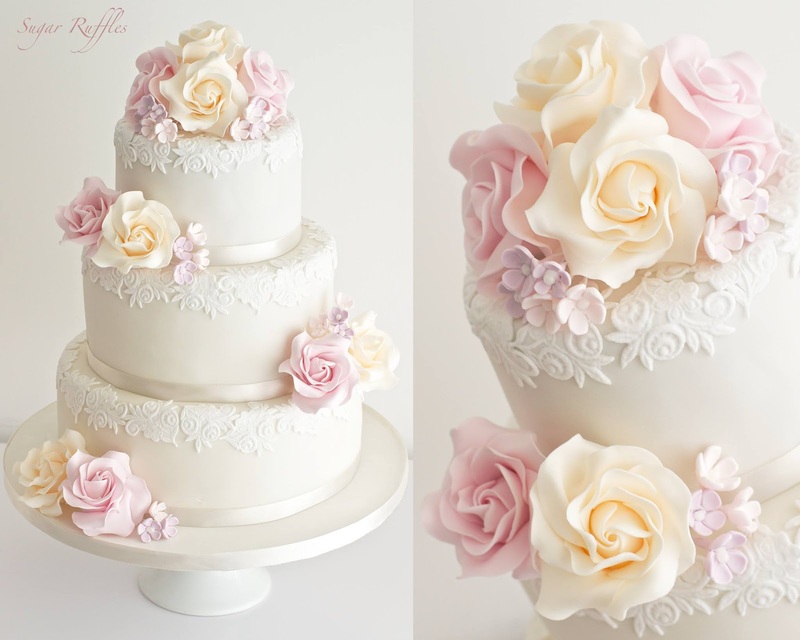 I have lots of new wedding cake designs to share from the last couple of months. 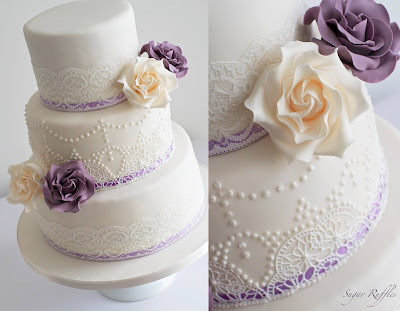 Firstly a lace and pearl piped design with ivory and purple roses created for Gemma and Matt's wedding at The Ryebeck Hotel. 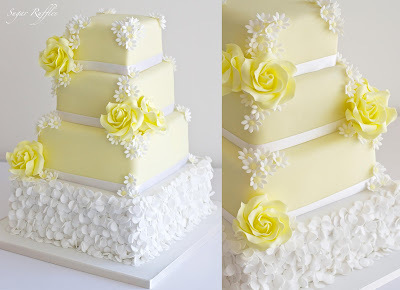 A yellow wedding cake with petal ruffles, yellow roses and daisies for Kelli and Ben's wedding at Grange Hotel, Grange-over-sands. 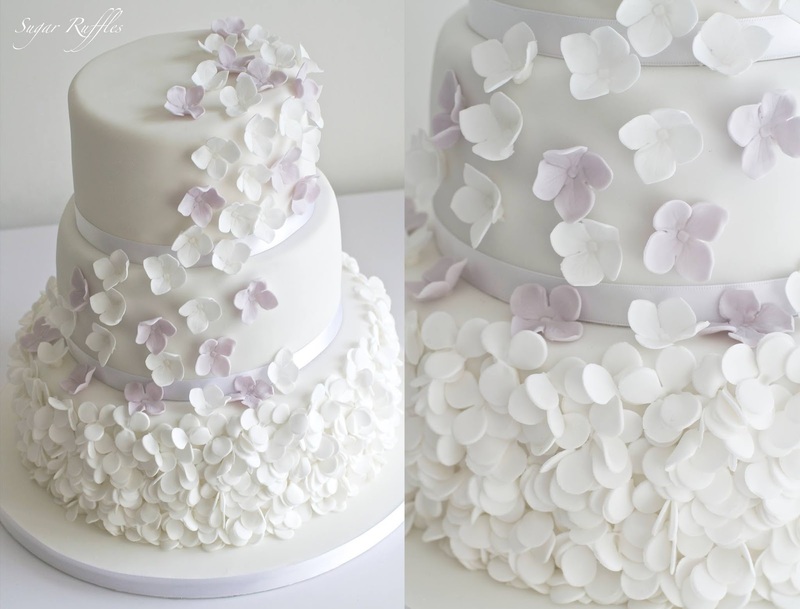 A white wedding cake with petal ruffles and cascading hydrangea flowers for Rebecca and Robs wedding at Lakeside Hotel. 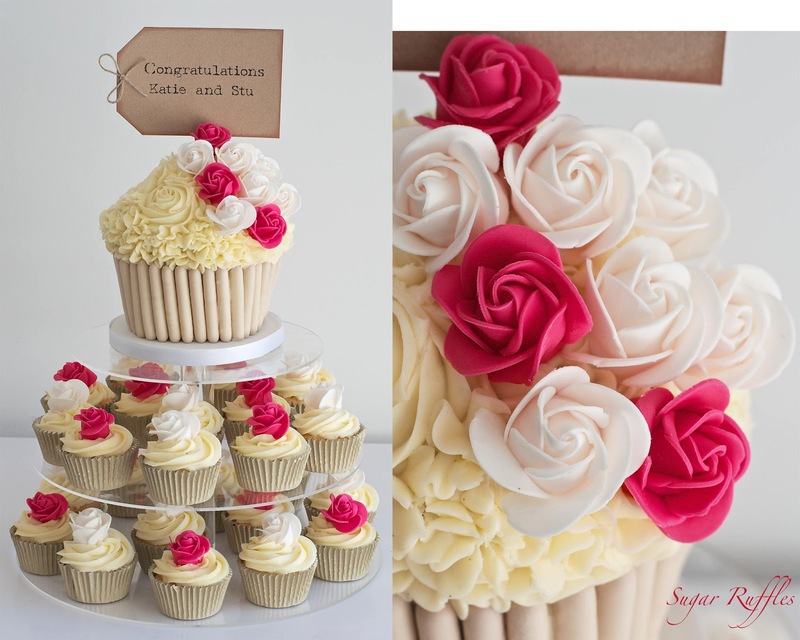 A rose cupcake tower for Katie and Stu's wedding at The Samling hotel. 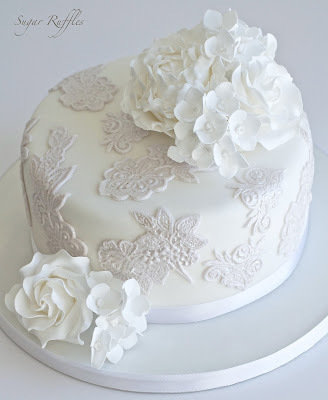 A lace trimmed wedding cake with sugar flowers for Christina and Rob's wedding at The Swan Hotel. 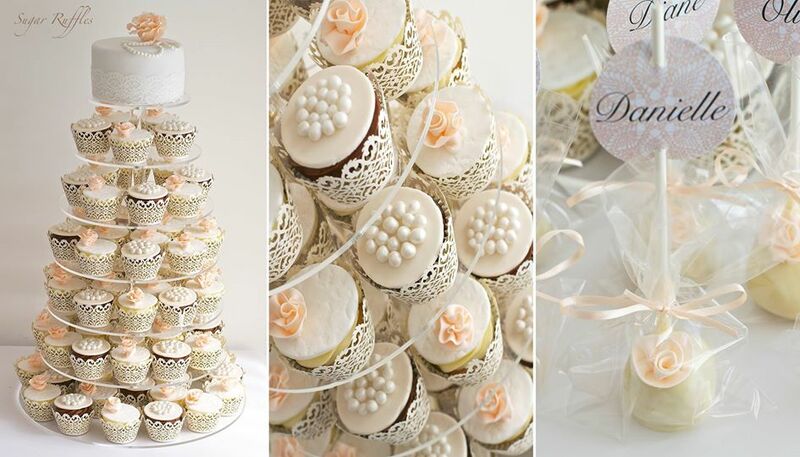 A cupcake tower with ruffle roses and pearls, along with ruffle rose cake pops for Tara's wedding at Cragwood Country House Hotel. 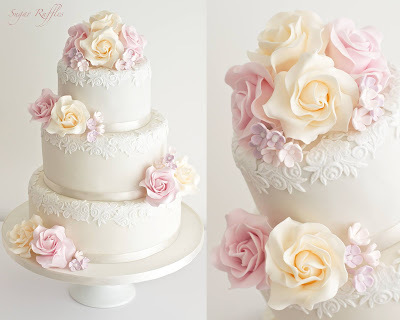 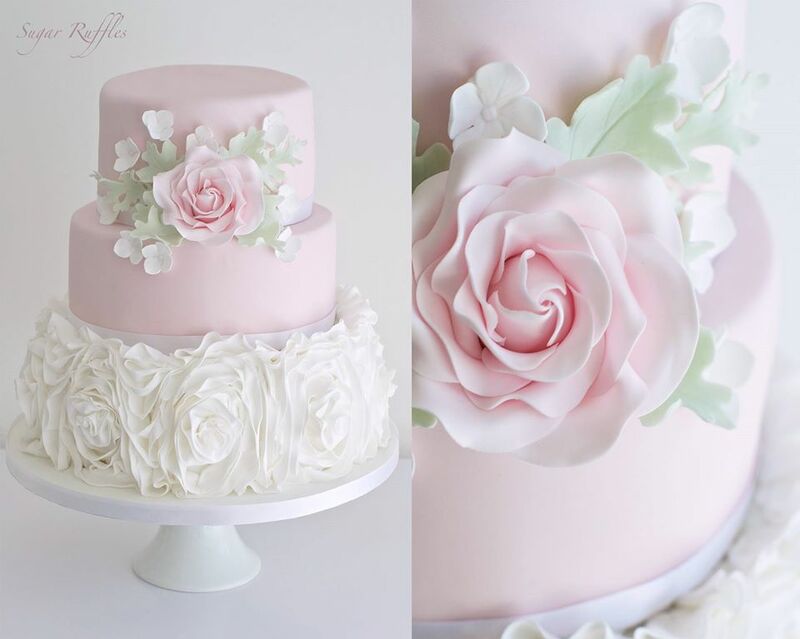 A pink wedding cake with ruffle roses and sugar flowers for Nicola and Neils wedding at The Netherwood hotel. 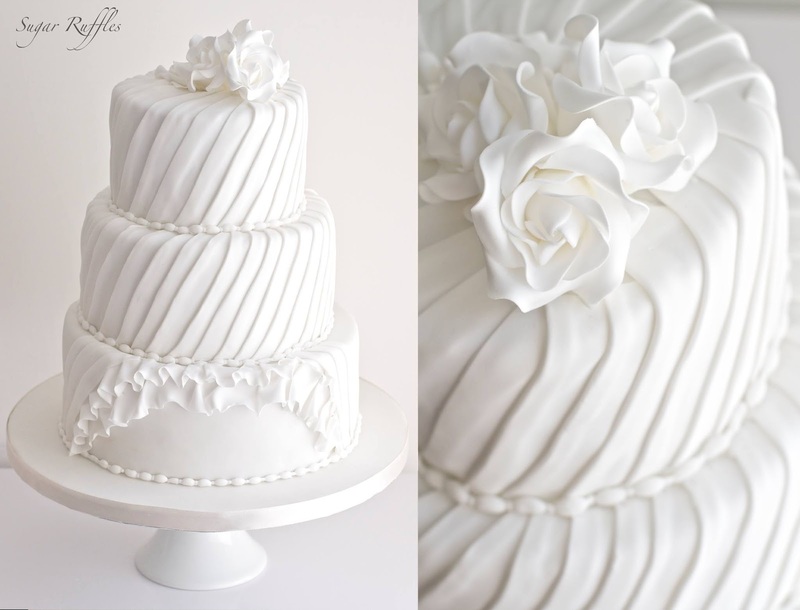 A pleated wedding cake delivered to Lakeside hotel. A pale grey lace wedding cake with sugar flowers for Nicola's wedding at The Laura Ashley- Belsfield Hotel. 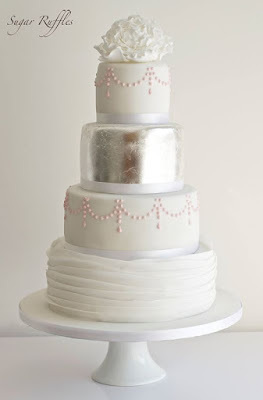 and a silver leaf wedding cake for Sophie's wedding at Askham Hall.